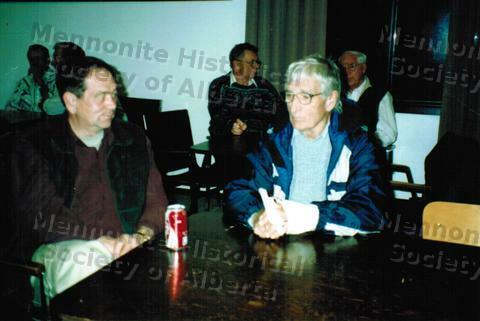 Item23 - George Friesen chatting with Victor Suderman over coffee. Item 23 - George Friesen chatting with Victor Suderman over coffee. George Friesen chatting with Victor Suderman over coffee.